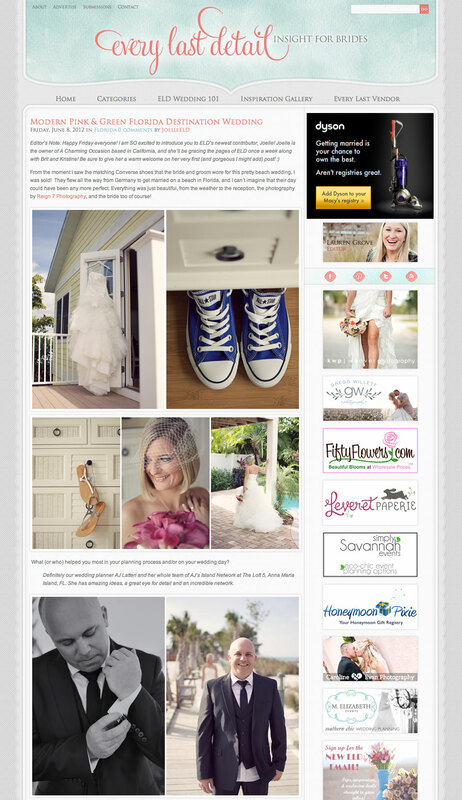 We’re absolutely thrilled to have Daniela & Christian’s Florida Destination Wedding on Every Last Detail today. Famously known for their blue converse wedding shoes, this couple flew all the way from Germany for their beautiful wedding on Anna Maria Island. Here’s a screenshot from Every Last Detail, but be sure to click the link to view the full post.